Relatively little is known about Alice Beard. She was born in Cincinnati, Ohio, and studied under Howard Pyle at his studio school in Wilmington. Her earliest assignments were for magazines, especially Sunday Magazine, a syndicated illustrated newspaper supplement. Alice Beard developed a friendship with another student of Pyle, Frances Rogers, and collaborated with her in writing and illustrating nine books into the 1940s. 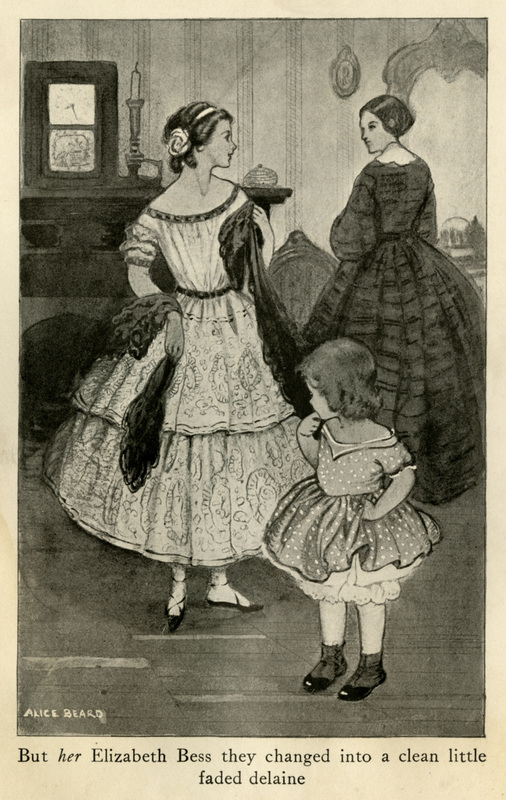 She illustrated Elizabeth Bess: A Girl of the Sixties by E.C. Scott in 1917. At some point Alice Beard moved to New York City, where she worked as an illustrator. Her work was exhibited at the National Academy of Design, the Society of Independent Artists and the National Arts Club, as well as the Salon de la Societe Des Artistes in Paris, and the National Association of Women Artists. Concerning the preceding paragraph: in the absence of significant narratives, summarizing biographers have often cited exhibitions, typically as an appeal to legitimacy. In this case the venues are indeed notable. But exhibition credits for illustrators–people who work primarily for reproduction– may tell us quite little about the cultural reception of their work. The salience of such information may often be questioned. Alice Beard, Cover Illustration. Sunday Magazine of the Rocky Mountain News. October 29, 1911. Alice Beard, Cover Illustration. Harper's Weekly Magazine. December 18, 1909. Alice Beard, frontispiece in the novel Elizabeth Bess, by E.C. Scott. Published The Macmillan Company, 1917. Alice Beard, illustration from Elizabeth Bess. 1917.